This is another surprise encounter for the day. I was sitting at Starbucks in Central Mall and when I lifted up my head in reflection, I saw this big sign saying “Book Cafe”. That really attracted me. Oh not just attracted but really got me excited. I mean I just finished with Settlers’ Cafe and now another one! Cool. But I decided to pay this cafe only later just before dinner time. I had a good afternoon nap at the Merchant Court Swissotel and it was such a peaceful rest on that comfy beds until a few of my friends started to wattsapp me asking me to give them advice on where to eat in Orchard Road and which hotel to stay for their next staycation. Since when did I become a consultant for leisure and pleasure….hahaha! But honestly I do like that kind of job – to be a consultant for leisure and pleasure. Cool isn’t it! Managed to dig myself from the comfy bed and reluctantly walked out of my room. 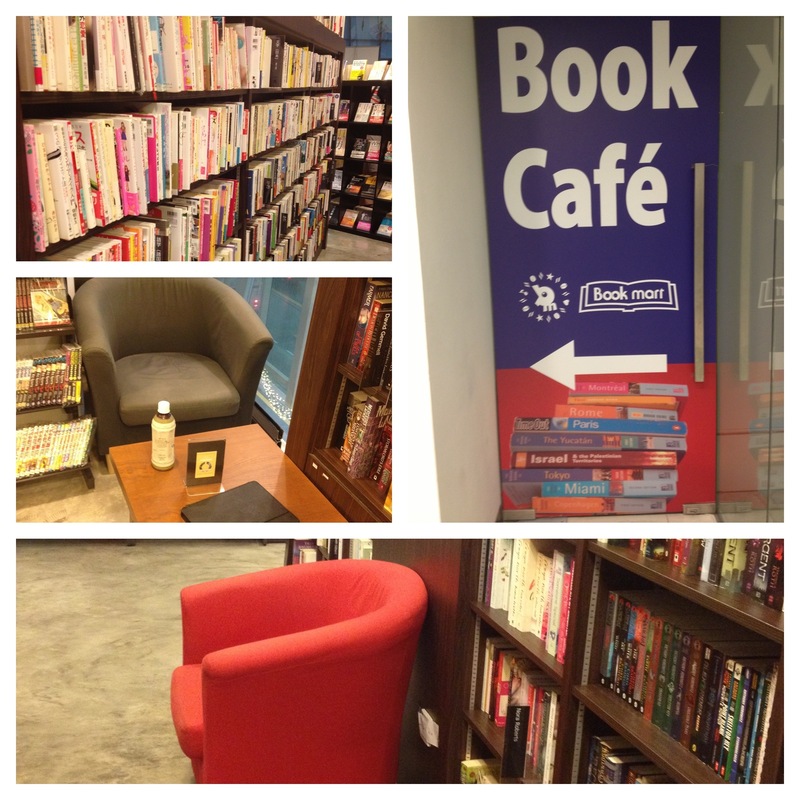 Yup, my first stop was Book Cafe. It’s not easy to locate the place but I am sure you won’t miss the signboard put up by them as well. It’s pretty obvious actually. I was a rather disappointed at a first when I stepped into the shop. It looks like an ordinary bookshop. I was wondering where is the cafe? I felt so cheated at first. I was greeted by a huge shelf of books in Japanese and as I walked further in there was another few shelves of English literatures. I felt that I must be missing out something. I saw a number sofas lying at various corners of the bookshop. I was definitely missing out something. I approached the counter and found this little menu for drinks. Hey…that’s cool! I could order drink! Now Book Cafe is not your usual kind of cafe. It’s focus is not really on food and beverages. It’s really about books and mainly Japanese books. Well, if it sits near Liang Court you should know why japanese books. There are also a number of shelves with a good collection of Japanese manga. Ok, some of these books are not exactly new. The Book Cafe does some kind of selling and re-selling of books here. So it’s like a re-sale market for books. Interestingly, the books there are very well-kept and they look pretty new to me. After you have ordered your drink, you can really sit down in one of the nice sofas and just start your reading. 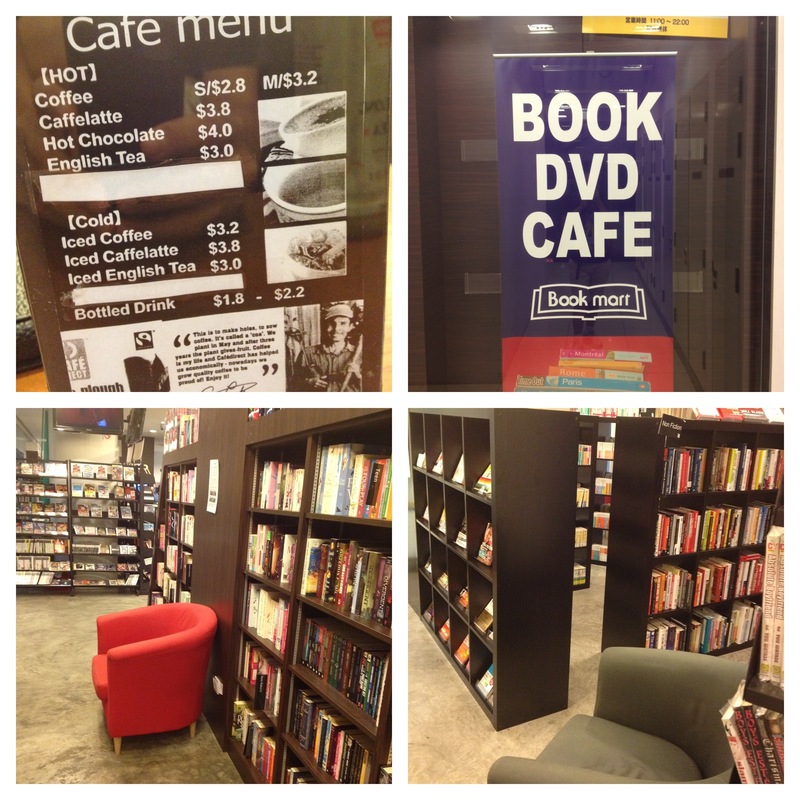 Just pick up any nice book or easy reading and there you go….a Book Cafe. I sort of like the idea. Books and cafes always come hand in hand together. Most of the cafes I have hopped to do have some mini collection of reading materials. This one has the most collection of books. The staff are pretty friendly…they are mainly Japanese and that explains why they are friendly. I didn’t find anything to eat in the cafe and I am not too sure if they do serve food. Well, you can help Cafe Hopper up by visiting this unique cafe and drop me a line or two to let me and the rest of the community know. I will consider this as niche cafe as well, like that of Settlers’ Cafe. It actually has a lot of personality and it’s loud about it. Cafes with personality and character always attracts me. There are many cafes springing up in recent years and very few of them really shout out a good character. To me, a cafe must not only serve good coffee and food but it must be able to tell a story about its owner and the team of staff working in the cafe. I left the Book Cafe feeling very satisfied. Stretch your idea of a cafe little and you will find the Book Cafe unique by itself….and especially if you love the Japanese culture. I don’t drop many comments, but i did some searching and wound up here Cafe Hopper Review: Book Cafe@Clarke Quay Central Mall | Anthropology of Ah Hock. And I actually do have a couple of questions for you if it’s allright. -P And, if you are posting at other places, I would like to follow everything fresh you have to post. One more technique in favor of promoting your weblogis posting comments on different directories with your weblog link. Oh so far I have not heard anything about this! Yoս’ve gotten wonderful stuff riցht.